Sometimes apps are updated with a plethora of new features that transform the experience. This is not one of those times. Yet, the latest Hulu update does bring something that many subscribers will probably enjoy. 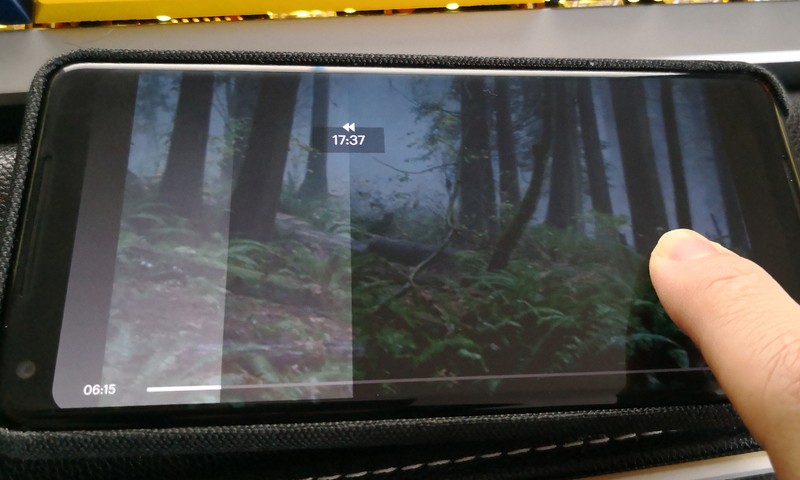 You can scrub through a video by pressing anyplace, not just on the timeline. Here's the changelog for the new update. Improvement: Now you can scrub through a video not only directly on the timeline but by doing a long press anywhere on the screen. We don’t like to limit you, so with one swift move look up that scene that you missed because you were fixing yourself a snack. We've all been there. Yes, very endearing and casual, Hulu. At any rate, the new scrubbing behavior works as described. Long-press, and you get a quick haptic vibe to indicate seeking is active. Just drag back and forth to move through the video. The screen becomes a pseudo-timeline to show you where you are compared to the newly selected location. See above. The update is live in the Play Store. If for some reason you don't want to get it there, we've got the new version on APK Mirror.